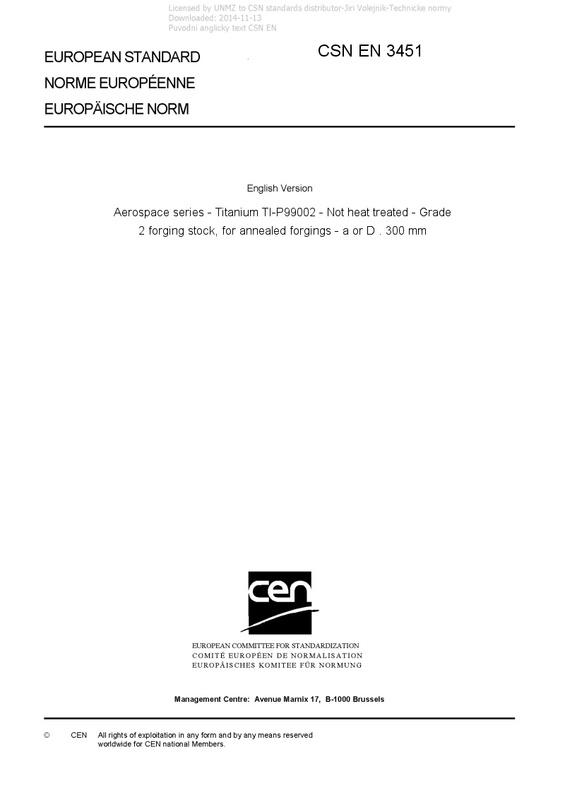 EN 3451 Aerospace series - Titanium TI-P99002 - Not heat treated - Grade 2 forging stock, for annealed forgings - a or D . 300 mm - This European Standard specifies the requirements relating to: Titanium TI-P99002 Not heat treated Grade 2 forging stock, for annealed forgings a or D ? 300 mm for aerospace applications.